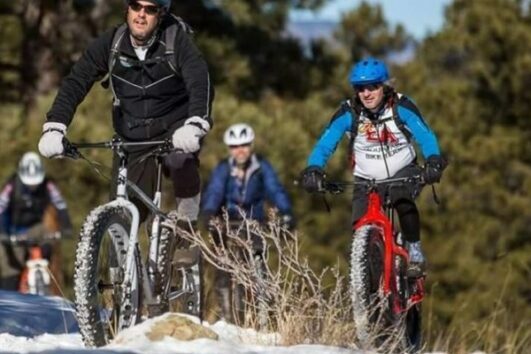 Top-reviewed Mountain, Road and City Tours of Boulder and the Front Range of Colorado. 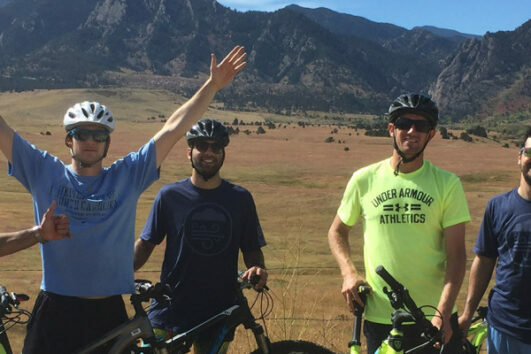 And we love sharing the Boulder bike mecca with beginner, intermediate and expert riders alike. 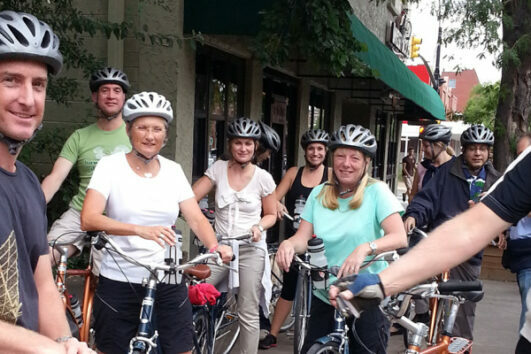 On mountain trails, scenic backroads, or cruising the city, our passion for cycling is contagious, and our veteran guides have the best skills and equipment to make your tour an experience of a lifetime. Leave the details to us, and come experience the landscape, natural history, local farms and unique culture that make Colorado one of the world’s best places to ride. Call us today to plan and reserve your tour of a lifetime or join a scheduled ride on shorter notice – we’re here to share an experience you can never find on four wheels! The electric bike tour, led by Herschel of Boulder Bike Tours, was fantastic. The bikes were super easy to ride and control. The roads/paths were easy, safe, and fun. I couldn’t have asked for a better tour and tour guide! Thank you so much! My mother, father, sister and I enjoyed the bike tour very much. We liked the guides and the small group size (less than 15). Highly recommend the e-bike! Makes the hilly trip easier especially after a glass of wine with pizza at the farm. We had such an amazing ride through the beautiful city of Boulder. Our guide Herschel was knowledgeable, funny and professional! We learned about the history of Boulder and saw some pretty amazing view high above the city. Thank you for an awesome way to get around the city. Besides the view and the best guide, electric bikes were so fun! Definitely a must do when you visit Boulder! My wife and I had an excellent ride with Herschel. This is the third year we have done this and every time has been outstanding! Highly recommend!! I have spent this morning riding electric bikes throughout the City of Boulder. I was amazed by how easy and fun these bikes are to ride! These are so great whether you want to explore the town, or just get up in the canyons! 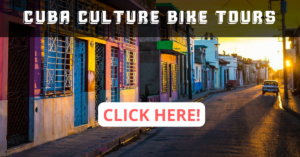 Cuba Bike Tours Resume January 2019! 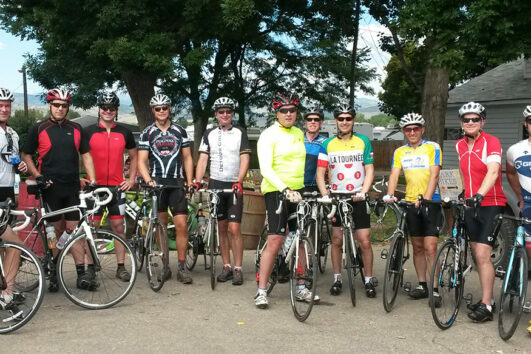 Group mountain biking, road tours and city rides, always tailored to your desires and skill level. 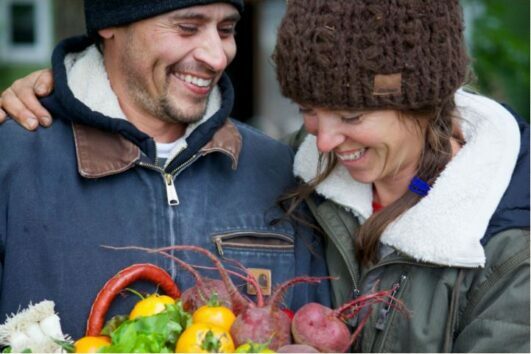 Custom tours can even include fine dining and special cultural destinations – just ask! Every ride is led by seasoned, professional guides on top-quality equipment for a truly memorable tour. We take pride in sharing stunning places and little-known trails in Boulder, Colorado, plus rural Cuba, the mountains of Scotland, and more – there’s nothing quite like being on your bike and in the scenery. Make a reservation six months out or for next weekend – we are here to make your tour one-of-a-kind. Don’t worry about anything on your rides – our team is well-equipped and can even provide coaching to ensure that every rider of every skill level has a great time. BBT tours remain unique because we’re always searching out new destinations and new ways to share the beauty and culture of each place. Monotonous resorts are never on the itinerary. Group trail or road rides are the perfect place to build teamwork. Inspire your team and create a day for all to remember! Customized dream excursions with everything included so you can have a multi-day adventure of a lifetime.